David Bowie’s widow – model, actress and entrepreneur Iman – has posted a series of social media tributes to her late husband on his 70th birthday. 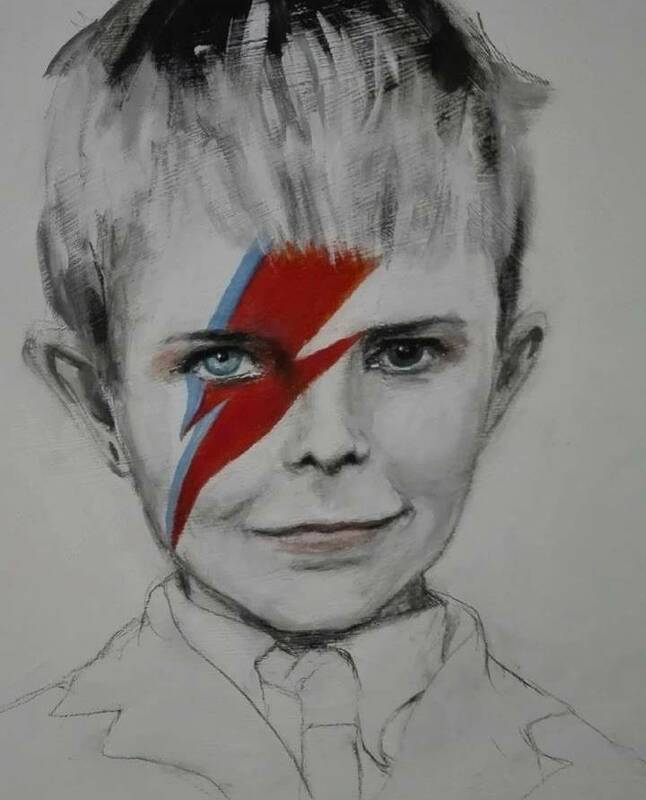 “Jan 8th #ForeverLove #BowieForever” wrote Iman on Facebook and Twitter alongside a sketch of a young Bowie with his Ziggy Stardust character’s makeup added in full colour. The original work by Italian illustrator Daniela Sbrana was painted in May 2016 for the Bowie "Blackstardust" exhibition at the Spazio CimaGallery in Rome, Italy. The work is still on display there, in the new edition of the exhibition, until January 25. An Instragram post titled #BowieForever presents a black and white photo of the couple embracing on a beach. Iman and Bowie were married in a private ceremony in Lausanne, Switzerland on April 24, 1992. The pair have a 16-year old daughter, Alexandria Zahra Jones, and Iman is also a stepmother to Bowie's son from a previous marriage, Duncan Jones; both share the Bowie surname. The tributes arrived on Bowie’s 70th birthday and just two days before the first anniversary of his passing from liver cancer on January 10, 2016. The entertainment icon fought a private battle with the disease for 18-months before his death at the age of 69. Born David Jones in London in 1947, the singer issued his first single at the age of 17 and changed his last name to Bowie in 1966 – to avoid confusion with Davey Jones of The Monkees – ahead of the release of his self-titled debut album a year later. The 1969 single, “Space Oddity”, put Bowie on the map and led to the beginnings of a groundbreaking catalogue that saw the singer push the creative envelope while exploring various genres as a musical chameleon. The music icon sold an estimated 140 million albums worldwide and was inducted into the Rock and Roll Hall of Fame in 1996.